There are many new items and sets available for purchase and download online at the official The Sims 3 store. Players can download clothing, hairstyles, shoes, furniture, community lots, and even whole Sims on the Exchange portion of the website. Some of these new custom content downloads also add in additional gameplay to your game. 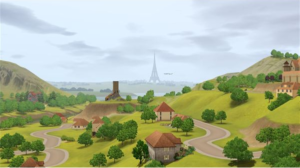 The Sims 3 Gothique Library set is the bundle that gives players the ability to have a little bit of The Sims 3 magic in their worlds. This set costs 1,200 SimPoints to purchase for your game. This equals $12 based on the purchase price of 1,000 SimPoints costing $10. Sometimes these points are found at a discounted price during holidays or lowered as part of the “Daily Deal” promotion. It includes the actual community lot featured for the set, the “Gothique Library” which can be placed into any town or neighborhood on a community lot zoned for a “Library.” It also adds new furniture, décor objects, windows, and structural objects for use in other buildings in the game. The actual object that gives the ability to use magic in The Sims 3 is also included in this set. It is called “Lady Ravendancer Goth’s Book o’ Spells.” If you only want to purchase this item, you can do so for 500 SimPoints. So far, there isn’t a magical themed expansion pack or stuff pack for The Sims 3. Many players (myself included) really hope that there will be one in the future. For now though, the only way for players to have any of The Sims 3 magic in the game is to purchase either the whole “Gothique Library” set or the individual item “Lady Ravendancer Goth’s Book o’ Spells” from the official store. The Sims 3 spells are able to be learned by adult Sims that have the book of spells in their home or have access to one at another location. It is a rather expensive item for Sims to purchase, as it costs $72,000 Simoleons. If your Sims don’t have this kind of money, just use the money cheat and buy it for them. Sims have to use the “Lady Ravendancer Goth’s Book o’ Spells” to learn the spells and to receive the “Makin’ Magic!” moodlet to give them the focus to cast the spells properly. It doesn’t take too long for a Sim to learn how to cast the spell, but they do need to review the spells before casting them to make sure that they have that moodlet to cast it correctly. For this reason, it is best to have the book of spells at their home, instead of only using it at another location. There are only a few spells that the Sims can learn with the spell book including: Enchant, Mood Elevatus, Summon, Summon Acquainted, and Unleash Animale. Even with this new content, there aren’t technically The Sims 3 witches in the game. You can dress you Sim up to look like a witch though. This can easily be done in the “Create-A-Sim” mode and change their hair, makeup, and clothing to resemble that of a witch. If the developers do come out with a paranormal or supernatural themed expansion pack or stuff pack, it is likely that this will be one of the new life states in the game, similar to how there are playable ghosts and The Sims 3 vampires in the game currently. For now though, the only option is to create your Sims to appear witchy, and to use the “Lady Ravendancer Goth’s Book o’ Spells” to cast The Sims 3 magic spells on others in your game. 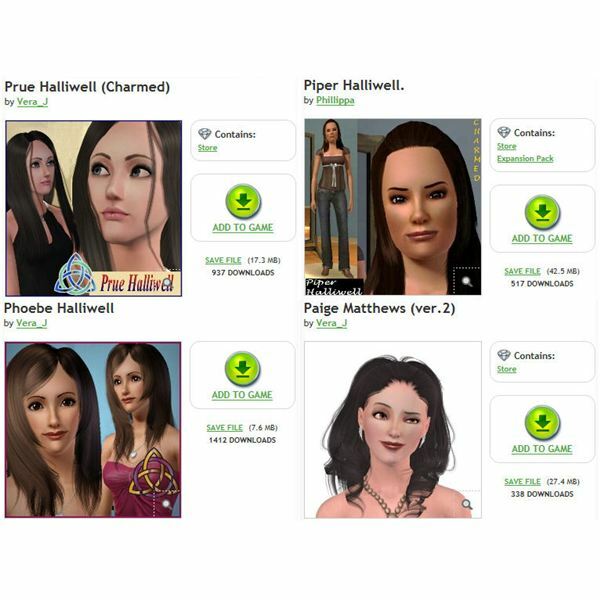 Some of the most popular witches in a series are the Halliwell sisters from the TV show “Charmed.” If you really want to have fun with The Sims 3 witches in your game, download the charmed ones and their home into your game. Be sure to place the book of spells into their attic (where it was placed in the series), and start casting The Sims 3 magic with these sisters right away! The Sims 3 Charmed House – this is the home where all of the sisters live, and where the magic usually happens. Download it into your game thanks to Vera_J who uploaded it for others to enjoy via the Exchange. The Charmed Ones – these are the sisters that have the “Power of Three.” There have been more than three sisters though, so here they are for use in your game. Use the three you like most or all of them: Prue Halliwell, Piper Halliwell, Phoebe Halliwell, and Paige Matthews. Thanks to the creator of these fantastic downloads for your game. Check out their studio pages for more character downloads from the show. 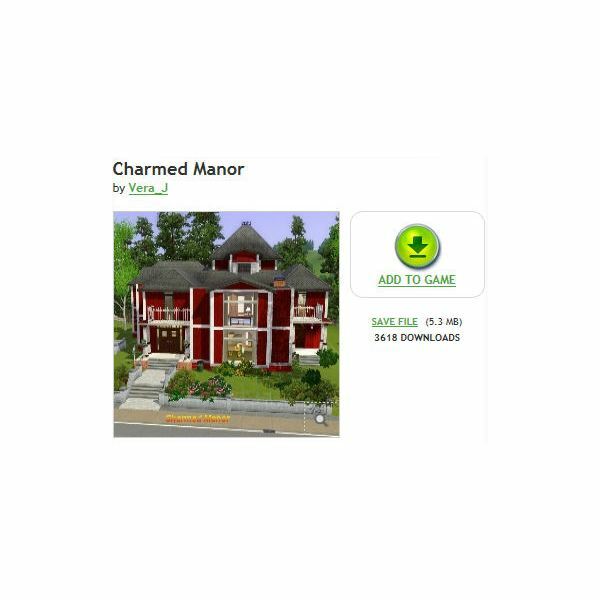 Have fun with these free The Sims 3 charmed downloads for your game! If you liked them, too, be sure to recommend them for others to use, and thank the creators!